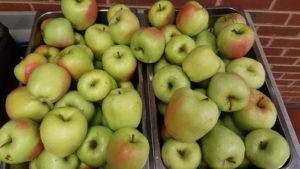 To celebrate Farm to School Week, Giles County Public Schools hosted an apple crunching event on Wednesday, October 4. Third grade students at Macy McClaugherty School participated in “Crunch Heard Round the Commonwealth” by eating an apple donated by a local orchard (Doe Creek Farms). 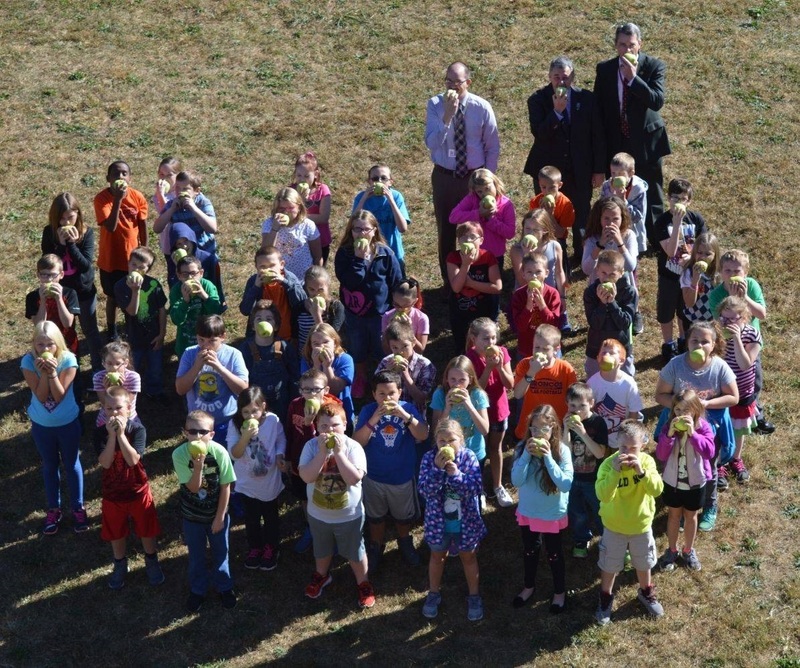 Students formed the shape of an apple, while the Superintendent, Assistant Superintendent, and Principal formed the stem.